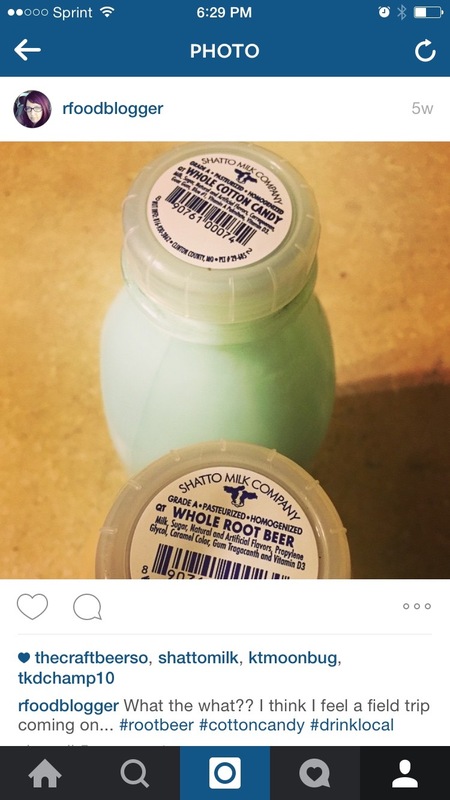 Awhile back, completely by accident, I stumbled upon the awesomeness that is fun, flavored milks by Shatto Milk Company. A quick flashback, in case you have forgotten… I could hardly contain myself when I found out the awesomeness was produced in Osborn, MO. A hop, skip, and a jump (OK, a 45 minute drive) from my casa. Trust me when I tell you I am not unfamiliar with Osborn… I let my excitement out all over social media, including this Instagram post (By the way, are you following me on Instagram yet? ): The folks over at Shatto were kind enough to invite me out to check out the farm & meet the cows. Really, they had me at cheese… and flavored milks… and ice cream. As soon as I had a day available, I made the trip. It was a lovely summer’s day in Missouri (Not really, it was pouring rain.) when I arrived at Shatto. Their gift shop was absolutely FILLED to capacity with people. Young moms and preschoolers, a tour bus full of seniors, joined my teens & I waiting for the tour to start. Because of health codes, everyone was furnished with a paper hat to wear during the tour. My teens were thrilled (sarcasm), the little kids kept taking theirs off only to have their moms plop them back on their heads, and one older lady put hers on completely upside-down (how?) which greatly amused me. There were at least 4 tours going on simultaneously, and with great precision, each group set off in a different direction to begin the tour. Our group started with milk-tasting, led by owner Leroy Shatto. As a professional wino, a small part of me was confused by milk-tasting. Where was the dump bucket? Was I supposed to spit? Wait, just drink the milk? I kid, I kid… We tasted 8 different milks (banana, strawberry, chocolate, cotton candy, root beer, cookies & cream, coffee, and the new birthday cake flavor) while Leroy gave us some history of the family and the farm. I think root beer is still my favorite, followed by coffee. The birthday cake was delicious; it tasted just like cake batter. I’m kind of bummed that I missed out on the limited release of apple pie flavor, but maybe I’ll catch it again the next time they do it. 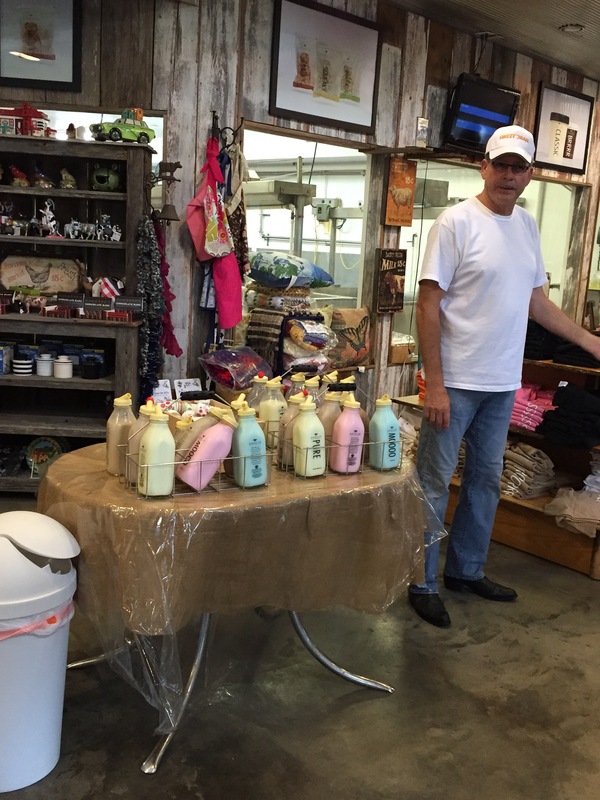 Owner Leroy Shatto telling us about the farm’s history in front of the milk-tasting set up. We walked past a cheese-making/processing room where you could look in and see some folks working on the various stages of cheese-making including the production of those famous Shatto cheese curds! Maybe in the future they can offer a “cheese geeks” tour. I know the littler visitors might not be into it, but I nerd out over cheese and would’ve loved to hear more about it. Checking out the bottling line and the various holding tanks was next. We also learned a little about homogenizing and pasteurizing milk. Here I learned 3 very important things: 1) milk can get from the cow to the store in fewer than 12 hours 2) a milk-bottling line is very similar to a wine-bottling line, and most importantly, 3) Shatto makes pumpkin spice eggnog in the fall! 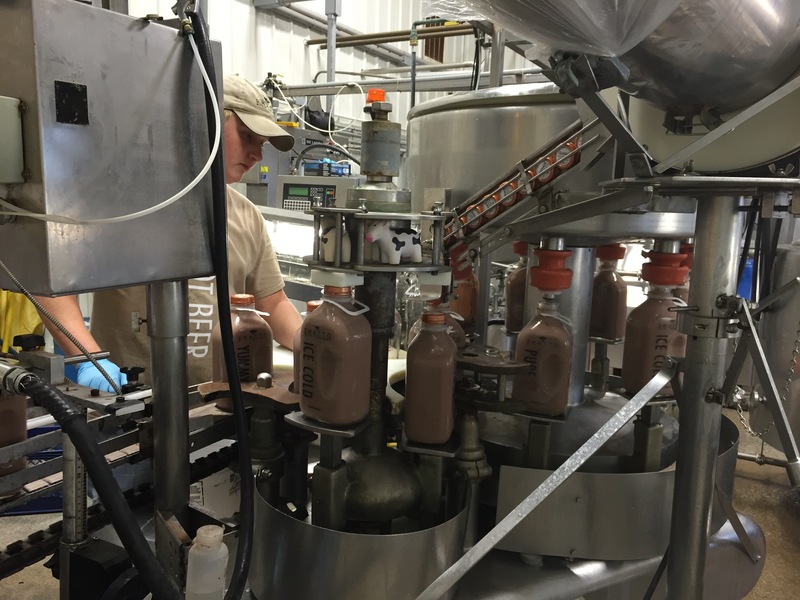 Here’s a shot of some chocolate milk getting bottled. Next, they brought us out to meet the calves and if we wanted to, milk a cow. The calves were very cute, but were unfortuntely upstaged by a litter of adorable barn kittens. Amazingly, no kittens found their way into my purse, and my cow-fearing daughter (When she was a toddler she had an unfortunate incident in which she was head-butted by a cow.) actually enjoyed petting one of the calves and letting it lick her. 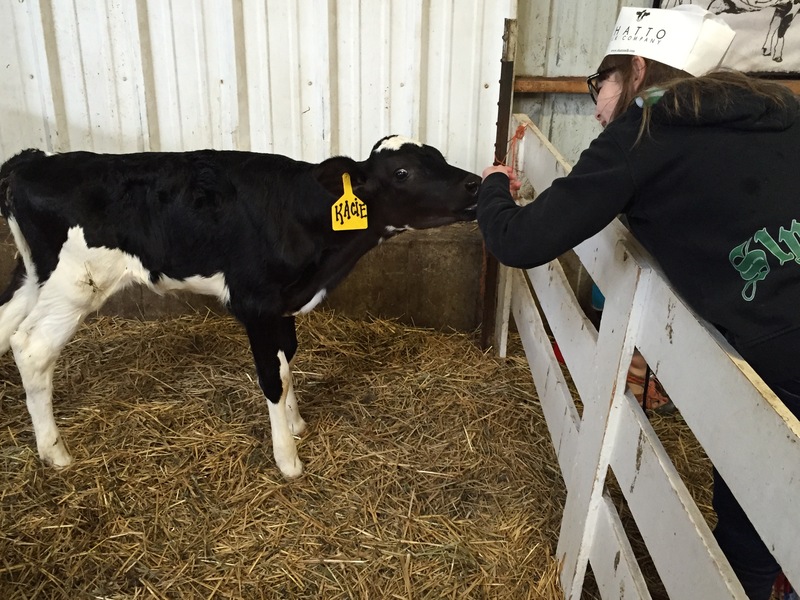 Kacie the calf meets my little bovinophobe. After visiting with the calves, cows, and barn cats, we headed over to the milking parlor (Sounds so fancy!). Here, they can milk about a dozen cows at once. 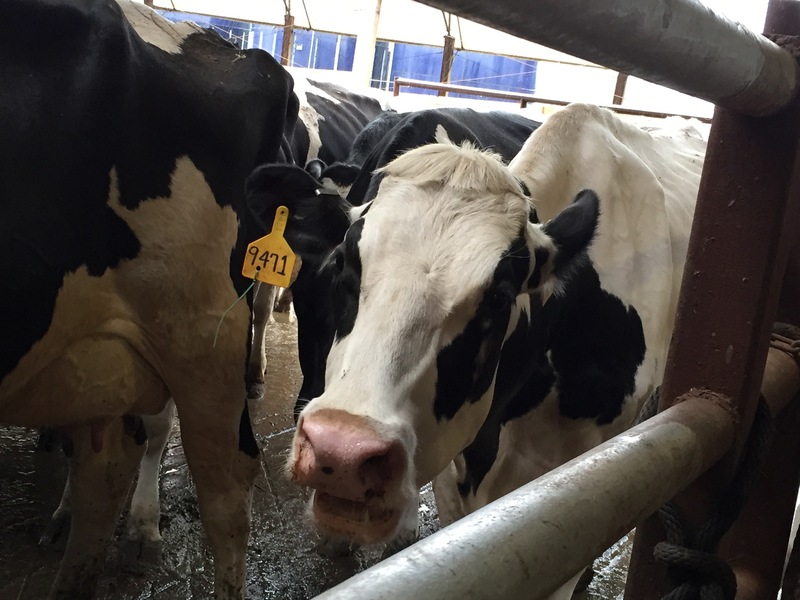 According to Shatto, an average cow produces 6-7 gallons of milk per day. 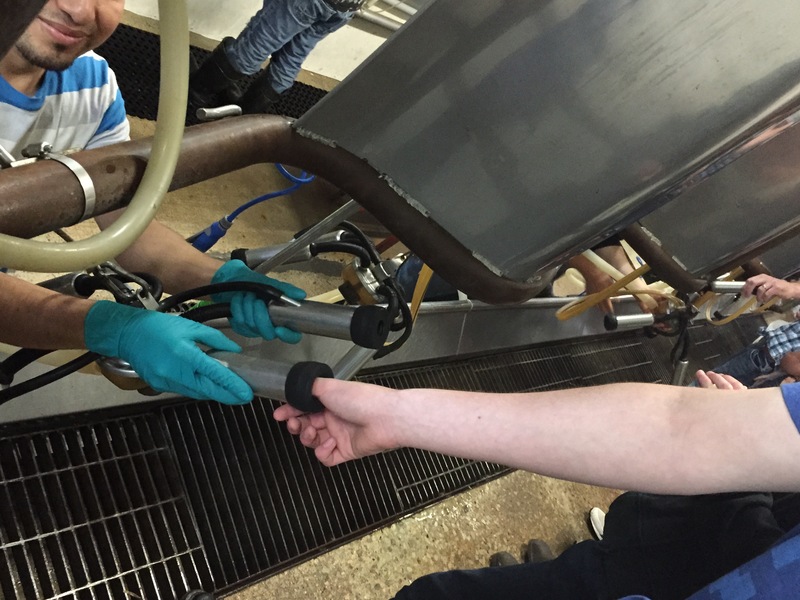 The staff discussed sanitizing the cow’s udders and let us all stick our thumbs in the milking apparatus. It felt similar to a blood pressure cuff at the doctor’s office. 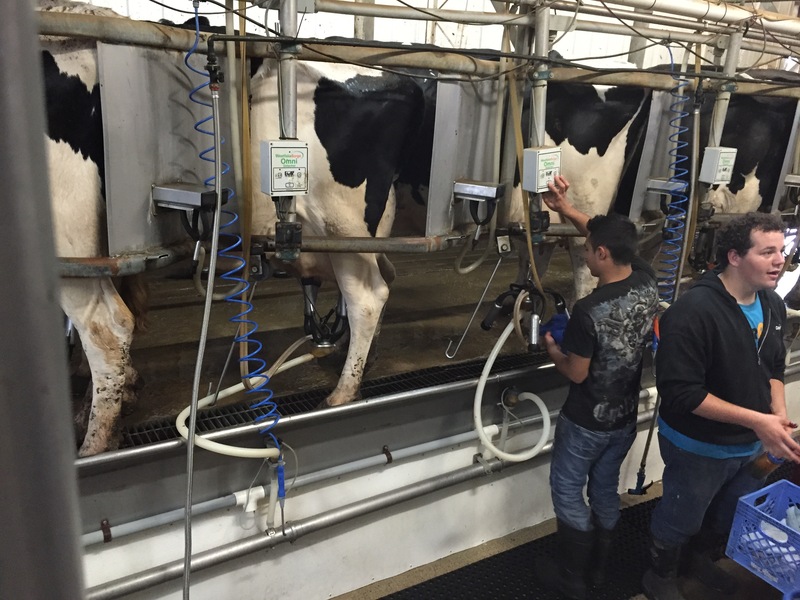 Here are the ladies coming into the milking parlor & getting hooked up. The tour ended (of course) back in the gift shop where we were treated to some tasty flavored butters (honey butter and garlic butter) and cheese curds (the plain ones). 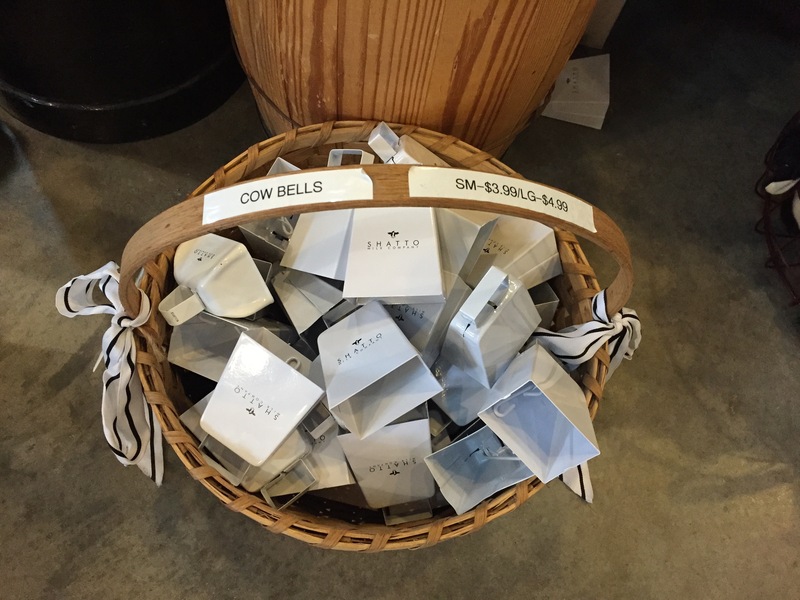 The seniors did some shopping and got back on their tour bus, and the little kids begged their parents for cowbells. Thank goodness my kids are big! I picked up some birthday cake milk for the kids, some “Dill-licious” cheese curds (that barely made it home), and Lily, a hard cheese a bit milder than Parmesan that I have already used in several dishes (Stay tuned!). Thanks for a fun summer field trip Shatto, I’m excited to see what outside-the-box stuff you come up with in the future!